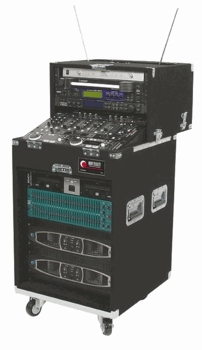 Odyssey CS4812W Slide Style Rack Carpeted w/ Wheels DJParts - All Variety of Parts that DJ Needs. The patented slide-style cases are thoughtfully designed and solidly built. 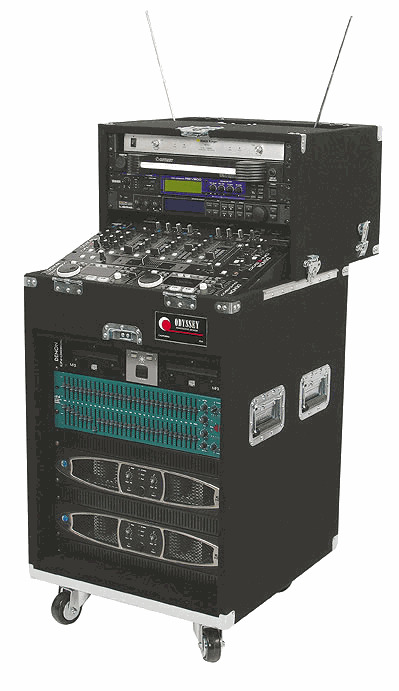 Functional, sliding vertical rack space (4 spaces) above the slanted mixer area (8 spaces) for tape decks, EQ's, etc. The bottom section has 12 vertical spaces. Carpeted finish and heavy-duty recessed hardware. The patented EdgeGuard (bottom edge) prevents direct impact damage to the case. Includes wheels for easy transport.